Are Stem Cells the Next Big Thing in Skincare? By Nicole Carbon | March 9, 2015 | The Au Courant | Comments Off on Are Stem Cells the Next Big Thing in Skincare? It’s been about a month and a half and I’m scraping the nearly empty jar of CellEssence Cream. I have a feeling it normally lasts longer; although I caught my significant other dipping into it a few times and emerging from his daily routine with strikingly radiant skin. 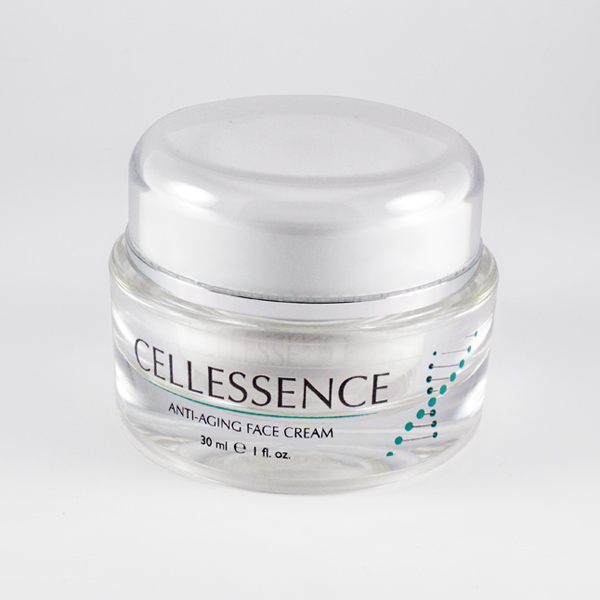 In an ever-ending effort to fight the signs of aging without needles or going under the knife, and also to bring our readers the best hidden gems out there, we introduce you to CellEssence skincare. I heard of this line, based in Newport Beach, from Twitter, of all places. I was eager to try it to see if it would ease those fine lines and dark circles around my eyes and expression lines that have made a home for themselves on my face. 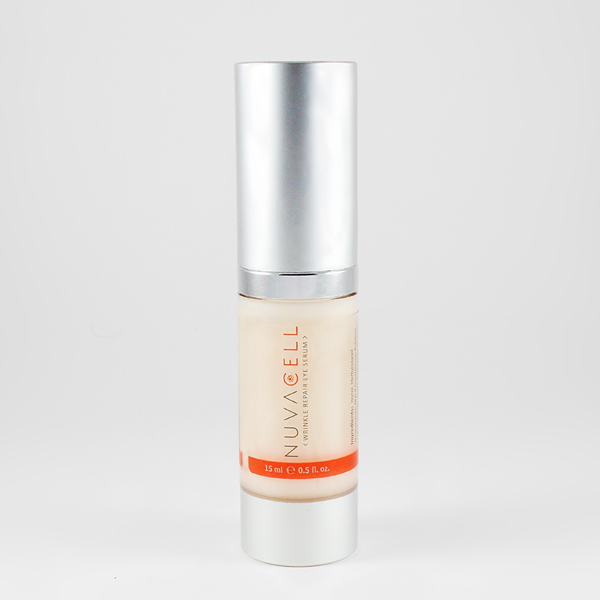 My sample package arrived in the mail and included the NuvaCell Wrinkle Repair Eye Serum and CellEssence Anti-Aging Face Cream. The eye cream comes in an ample-sized container with an easy-to-use-pump that with just one push dispenses a dab plentiful enough to use on both eyes. Both initially went on rich and noticeable concentrated. I applied them at night and was wondering if they were light enough to apply under makeup in the daytime. Within minutes they absorbed into my skin seamlessly leaving behind a smooth and almost velvety feel! The next morning (even with less than eight hours of sleep) I emerged from my slumber with a glow about my skin and the lines around my eyes softened. My skin look hydrated, more even-toned, and felt smooth to the touch. I was intrigued and was excited to see how this worked during daytime with a full schedule ahead. One word, awesome. No added oiliness and my makeup seemed to like it too. I sampled this product in the midst of winter and what I noticed throughout the season was that my skin gave off this radiant glow, did not once get dried out even during the cold, dry winter we experienced where I was stuck indoors through most of it with dry heat blaring in our home and car to keep the winter chill at bay. The lines around my eyes were non-existent. The line promised to deliver “potent DNA repair activity” that helps to repair DNA and activate the skin’s stem cells which result in less sagging, fine lines and wrinkles, and under-eye dark circles and bags. Key ingredients in the CellEssence line responsible for these noticeable results include DMAE; Alpha Lipoic Acid; Licorice Root Extract; Renovage ™; Vitasource; and Synovea HR. While I’m not too familiar with all of these wonder components listed above; I do know I’m a fan and can’t wait to get my hands on more CellEssence skincare.